Dah Sing Bank, Limited, has started adopting its renewed communication templates in Personal Loan and YOU Banking segments. 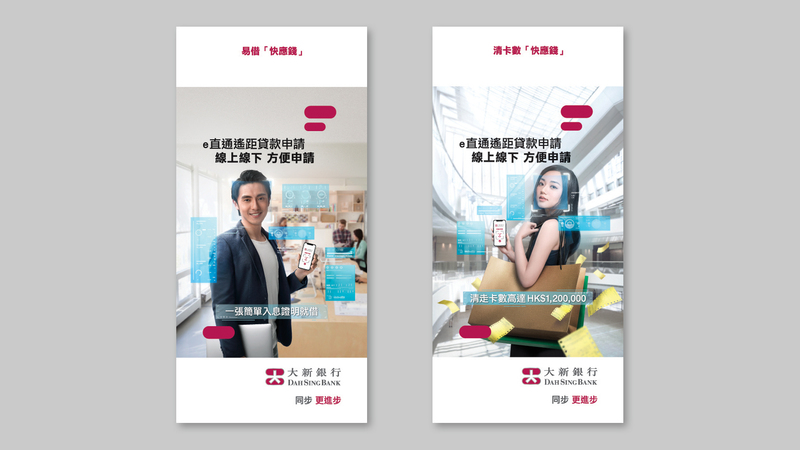 From master visual creativity to copywriting, to the whole production of the communication materials, our team offered the client a full product refresh service. 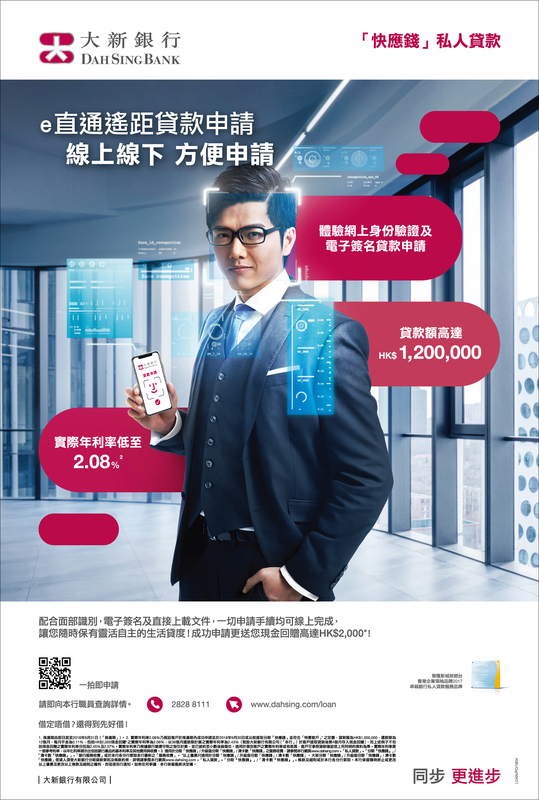 We have updated the product poster and leaflets of Express Money, Credit Mastermind Instalment Loan and e-Cash under Personal Loan segment, as well as of YOU Banking segment, with the emphasis on digital initiatives and the enhancement on smart and youthful tone and manner.